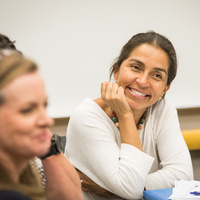 This intensive session aims to accelerate progress toward improved teaching skills for faculty who are enrolled, or plan to enroll, in a Teach for UCSF Certificate. On Saturday, January 26, 8am-5pm we will offer 4 workshops in the Accelerated Path to Teach for UCSF Certificate in Clinical Teaching. There is a fee for these workshops. Use the EventBrite link below to register for each session you would like to attend. Co-sponsored by the East Bay Faculty Development Consortium, the UCSF Center for Faculty Educators and Kaiser Permanente Oakland.